iPhone is the best mobile for any kind of users because of its distinguishing benefits. iPhones come with various built-in technologies and facilities which allow the users to remain update with surrounding factors conveniently. Among many other useful features, iPhone has barometer functionality. You can use its barometer feature for measuring the pressure, forecasting the weather, tracking physical activities ratio, and altitude elevation. These all facilities can be used on the daily basis as they help us to know the useful facts about our living. To use the built-in barometer functionality of iPhone, you have to use an app. Here are the best barometer apps for iPhone that are available in the market and you can select anyone according to your needs. 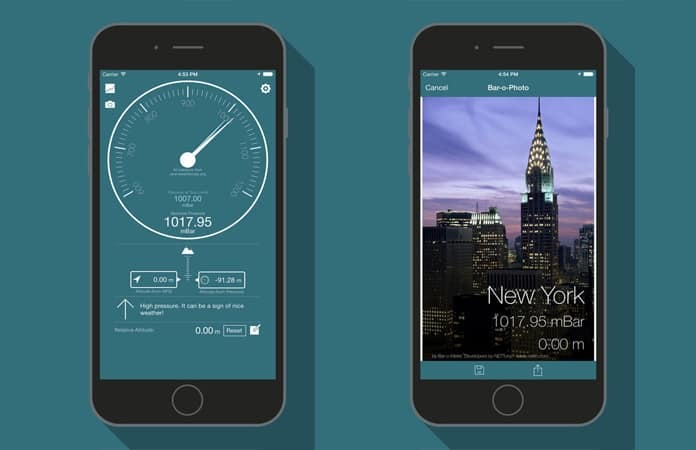 If you are looking for the best barometer apps for iPhone, have a look at our list below. This is the app created and launched by AFS software company. This is free and widely used worldwide. It can help its user to calculate the air pressure and elevation estimation precisely. It is also used for weather forecasting purposes. It uses the pressure sensor of iPhone to calculate and display pressure figures. It is the right app to install on iPhone 6, 6 Plus and above versions. It is also suitable for iPad Air2 and iOS 8 including above versions. 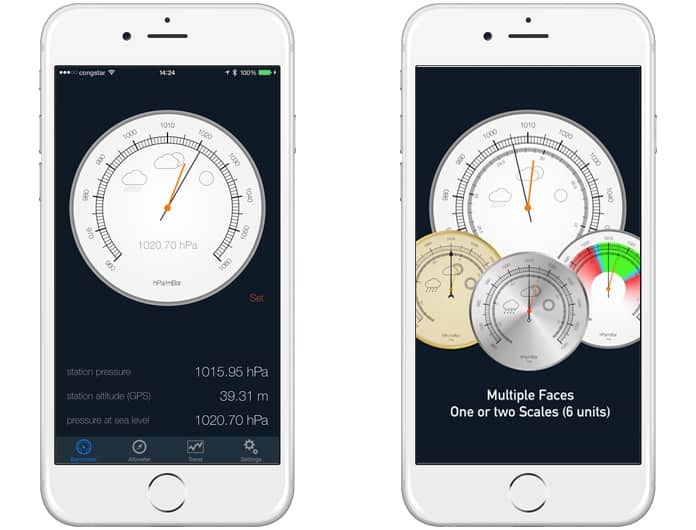 Simple Barometer is an app that only works with on devices with a barometer like iPhone 6, iPhone 6 Plus, iPad Air 2, and newer. You don’t need to use network connection because the current pressure is detected by the barometer sensor inside the iPhone. You can get the current pressure on your display, anywhere your iPhone can go. Simple Barometer app measure air pressure in a number of different units: inches mercury (inHg), millimeters of mercury (mmHg), atmospheres, kilopascals (kPa), hectopascals (hPa), or pounds per square inch (PSI). It is a fantastic app which is developed by Nettuno which is used to inform you of your altitude with help of pressure measurement using the mobile sensor. Its best feature is that it can display the pressure units in different units. It is also used for weather forecasting. Using your location, with the help of barometric formula you can quickly measure you’re the charts of pressure and altitude. 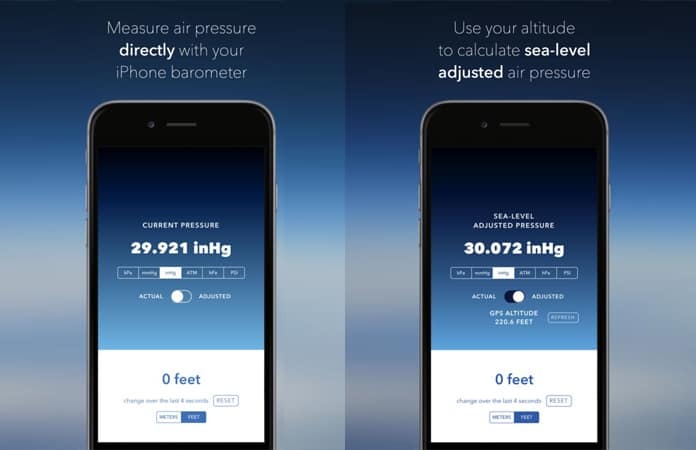 It is the free app which allows excellent animations and graphics display of pressure and altitude in your iPhone or iPad. It can also be a good choice when you are looking for any iPhone barometer app. It can tell you everything about weather and elevation. It does not come with any widget support. Therefore, it can only be used for iPhones. Anyone who is not iPhone user can depend on GPS based altimeters. You can download this app for free from App Store and it is compatible with iPhone, iPad, and iPod touch. 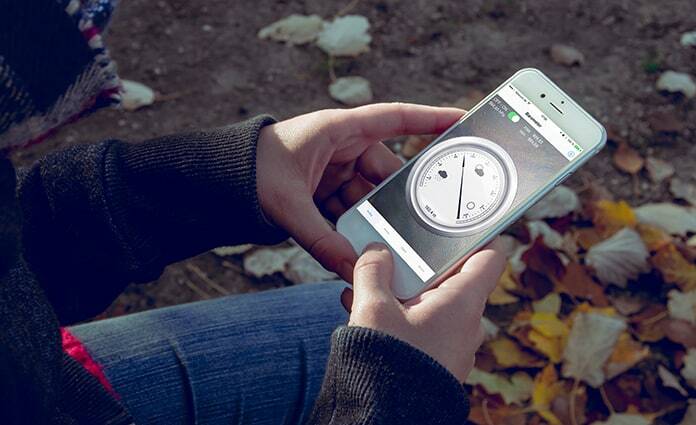 This is another iPhone barometer app which is by Steffen Bauereiss which use your iPhone sensor. 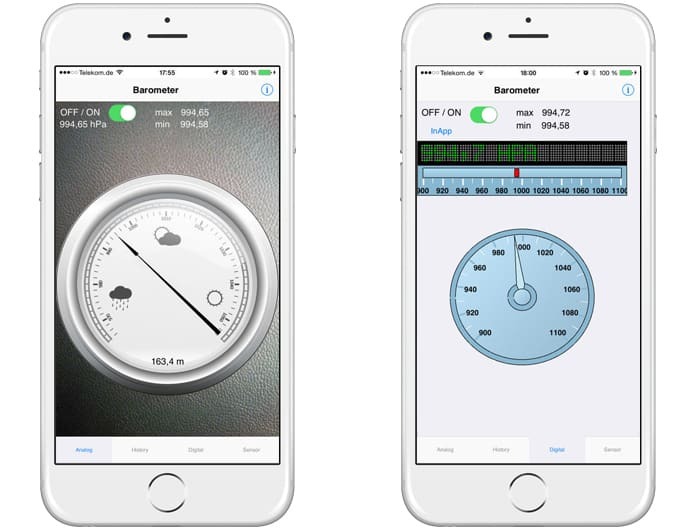 It is incredible altimeter and barometer app which can easily use anywhere without any issue. It also comes with Notification Center Widget and barometric Trend. It is basically a free app with various features. You can also purchase this app which will give you Pro features. This app can be used on iPhone 6, 6S, 7, 8 and the latest iPhone X. It will also work on Plus versions of other iPhone models. Any of your iPad or iOS devices which has barometric pressure sensor can use this app without any doubt. 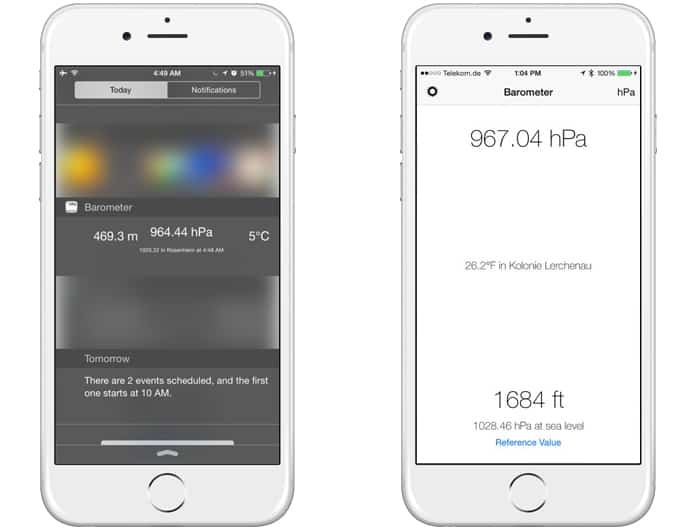 We hope that you liked our list of the best barometer apps for iPhone, iPad and iPod. Feel free to leave your comments in the section below.